For anyone wishing to attend RSVP is essential. Please call Susan on 48877066 evenings or email susanandmichaellh@gmail.com for bookings and directions, no later than Monday 19th November. Late bookings may not be able to be accommodated. 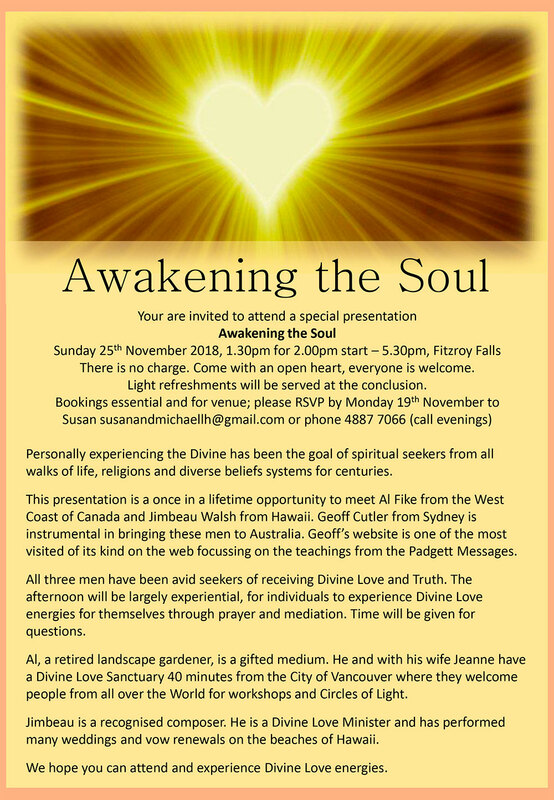 If you are interested in meeting Al while he is in the Sydney area, please contact Jeanne Fike at travellingjeanne@hotmail.com or private message.